Ex-Zanu-PF youth league leaders Kudzanai Chipanga and Innocent Hamandishe's bid to be readmitted into the President Emmerson Mnangagwa led Zanu-PF hit a brick wall after the ruling party turned down an application for their readmission into the party. 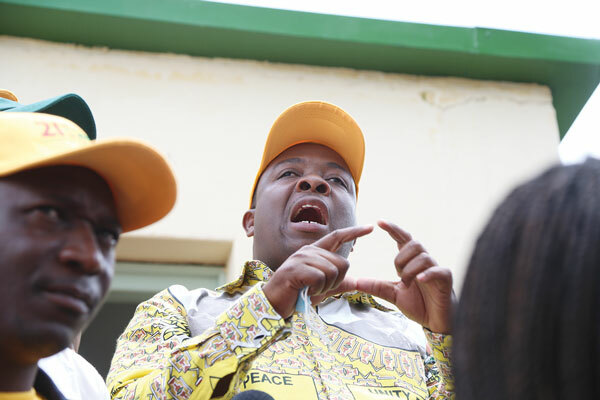 Chipanga and Hamandishe's readmission had failed after the Zanu-PF Youth League "declined" to entertain their request according to the Zanu-PF party spokesman Simon Khaya Moyo following a meeting of the party's politburo in Harare. The party's national disciplinary committee had however readmitted Anastacia Ndlovu as an ordinary card-carrying member, although she is barred from holding any position for the next two years. Moyo said the party had stayed a decision on an application by Paul Chimedza and others from Matabeleland South after requesting further information from their provinces.